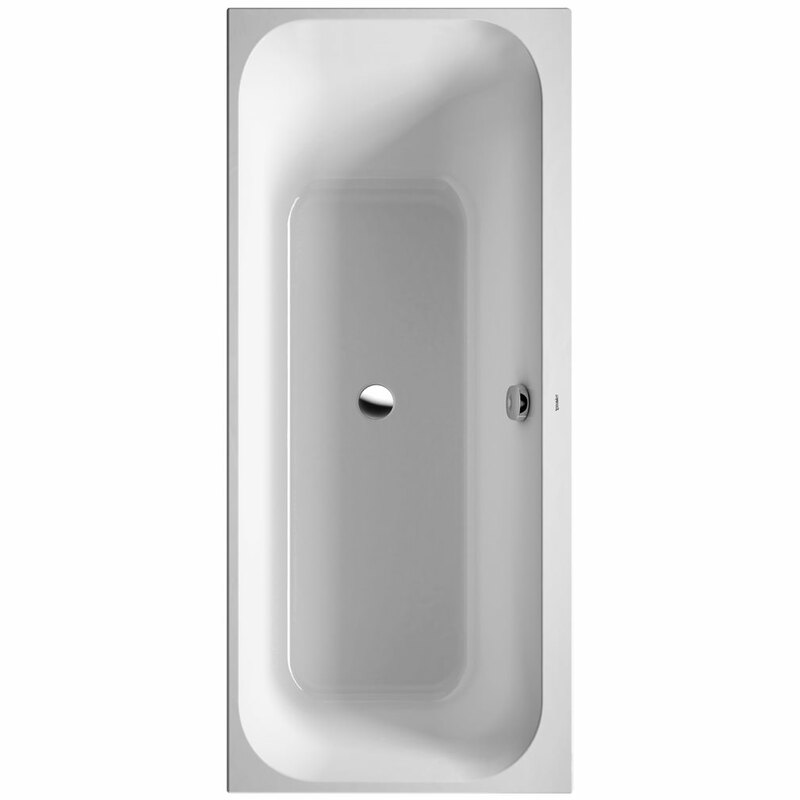 This new stylish compact Bathtub is introduced under the Happy D2 range by Duravit. The stunning architectural design by Sieger Design is modern and will adapt easily to any bathroom interior. 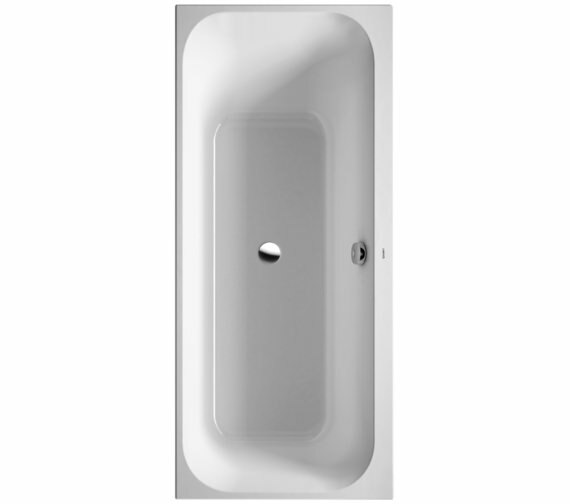 The strength and durability of this tub comes from the sanitary grade acrylic used to manufacture it. This material is known for its resistance to almost all conventional cleaning agents. It has a beautiful alpine white finish that is long lasting and makes the piece look brand new even after years of use. The rectangular shape translates to a generous space which can be taken advantage of, to sprawl across its vast expanse and indulge in a long, languorous soak. The backrest slope just adds to your comfort and convenience. 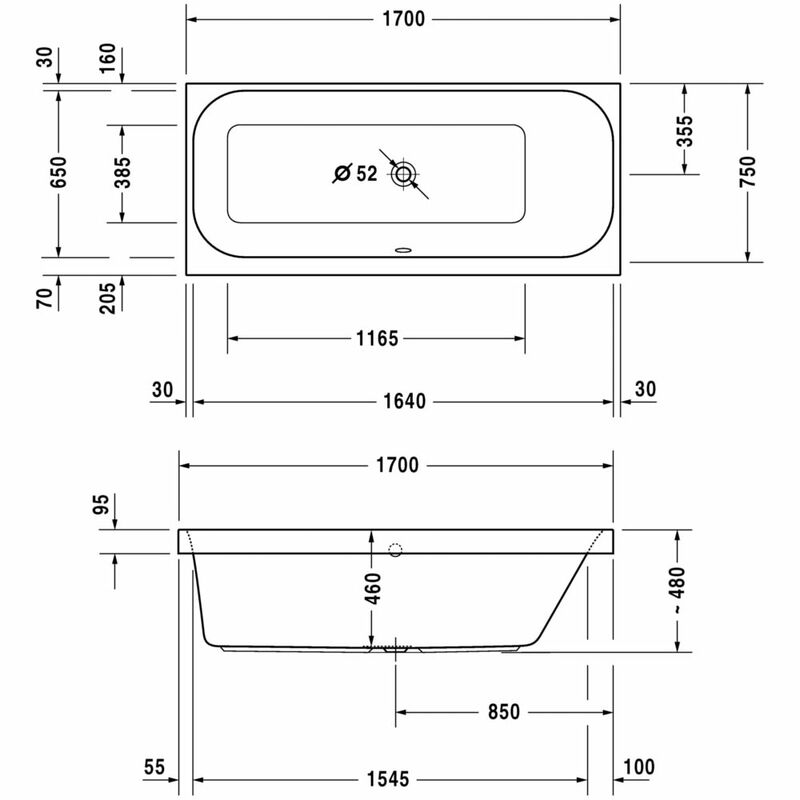 Available in different sizes it comes with a 5-year warranty from the manufacturer against any fabrication defect. Please Note: *Support frame is not necessary in combination with Styrene Support Box, LED coloured light or Sound / **Styrene Support Box is not suitable for tubs with LED coloured light or Sound.